Prime Minister Gen Prayut Chan-o-cha instructed governors of southern provinces to prepare flood prevention measures as the monsoon season remains in full swing in the south. The next step for the Regional Comprehensive Economic Partnership (RCEP) will be discussed at the leaders’ meeting on the sidelines of the Asean Summit in Manila. Prime Minister Prayut Chan-o-cha has instructed all provinces to ensure the flood-affected people of assistance from the government and urgently help them after the floods subside. Australian battery company Redflow has set a target of 3000 batteries a year to be produced by its new Thai factory, which it is currently fitting out. The Bangkok Metropolitan Administration (BMA) has highlighted six local bridges in grave need of urgent maintenance. AS Dow Water & Process Solutions brings its international water treatment solutions to Myanmar, the firm plans to leverage its experience working with partners in Thailand over many years and apply it in the neighbouring country. The 9th round of Free Trade Agreement (FTA) negotiation between Pakistan and Thailand will held from November 6-8, in which both sides would present complete offer list of FTA , for reaching the final agreement. Chiang Rai: Laos is poised to launch a new port checkpoint in the Mekong River early next year to handle regional traffic while a Thai firm has won a contract to develop and operate the port for a period of 40 years. THE GOVERNMENT has to find the right market for organic rice before it encourages farmers to increase the area producing the crop from 300,000 rai (48,000 hectares) this year to 1 million rai in 2019, Thai Rice Exporters Association president Pol Lieute-nant Charoen Leothamatas said. The Secretary-General of the House of Representatives has confirmed that the construction of the new Parliament building must be completed in two years. Thailand has the potential to become Southeast Asia’s video game capital, propelled by a strong gamer community and talented developers, according to video game entrepreneurs at Thailand Game Show Big Festival 2017. Thailand is the top dog of the cosmetic industry in the ASEAN region, the Thai Association and Academy of Cosmetic Surgery and Medicine (TACS) claims. 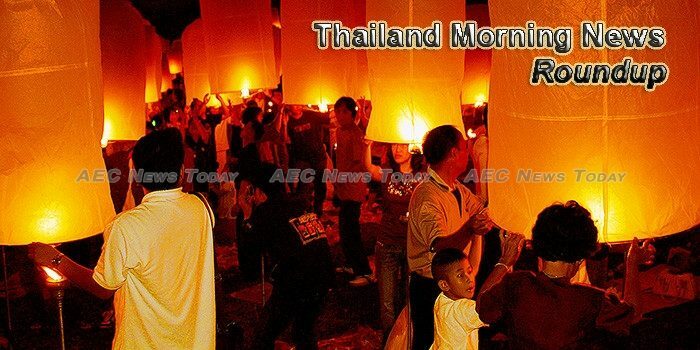 Thailand’s northeastern region has been named by CNN as one of the world’s top 17 places to visit this year.